This recipe uses Raspberry Preserves to create a filled scone. 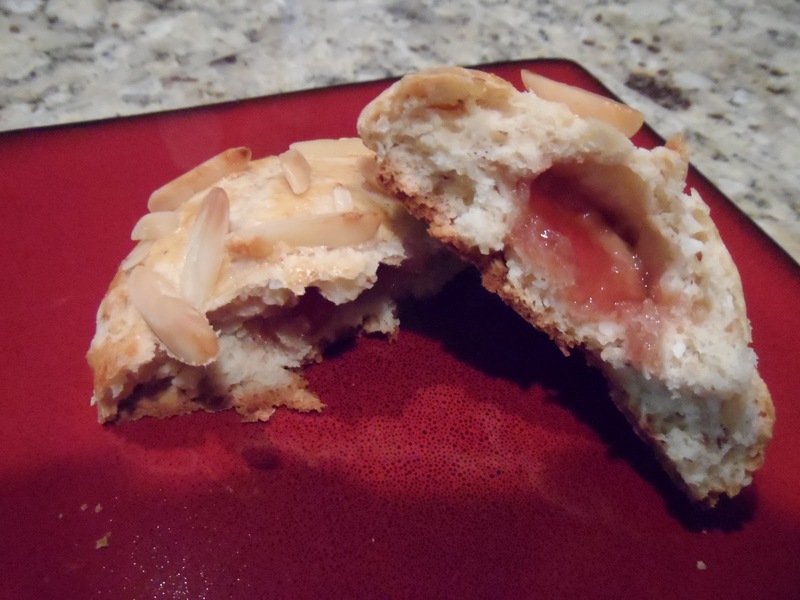 I love almonds, so when I saw this recipe in Simply Scones by Leslie Weiner and Barbara Albright, I just had to try it. No question about it. 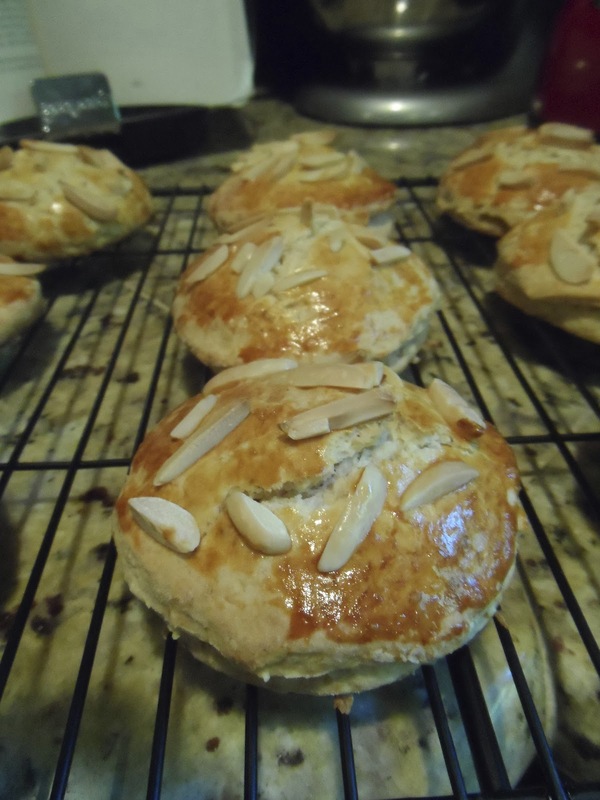 In fact, it was the first recipe I tried out of the small, but potently-scone-recipe-packed book. Let’s just say that great things come in little packages. 1. Preheat oven to 375ºF. Grease or line a baking sheet with parchment paper. 2. Whisk together flour, sugar, baking powder, and salt. 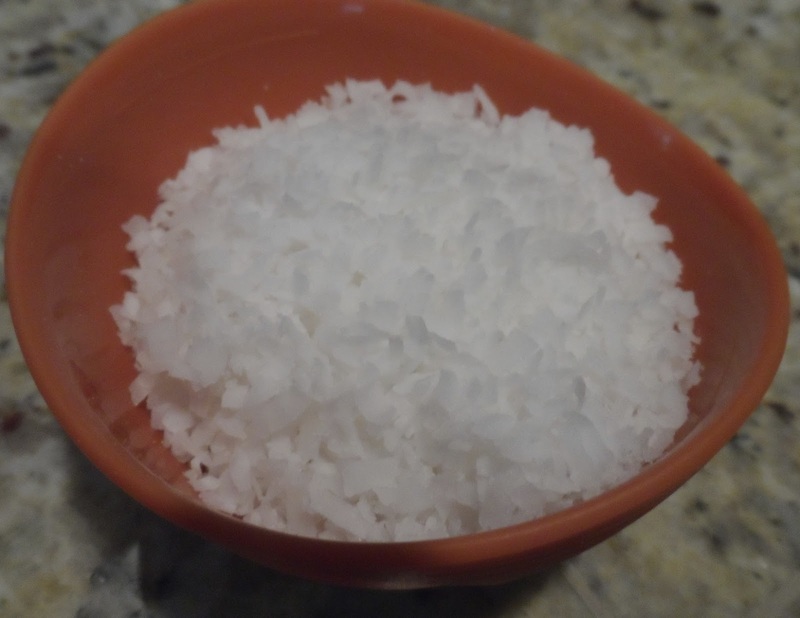 In a food processor, pulse the coconut until it is finely chopped. 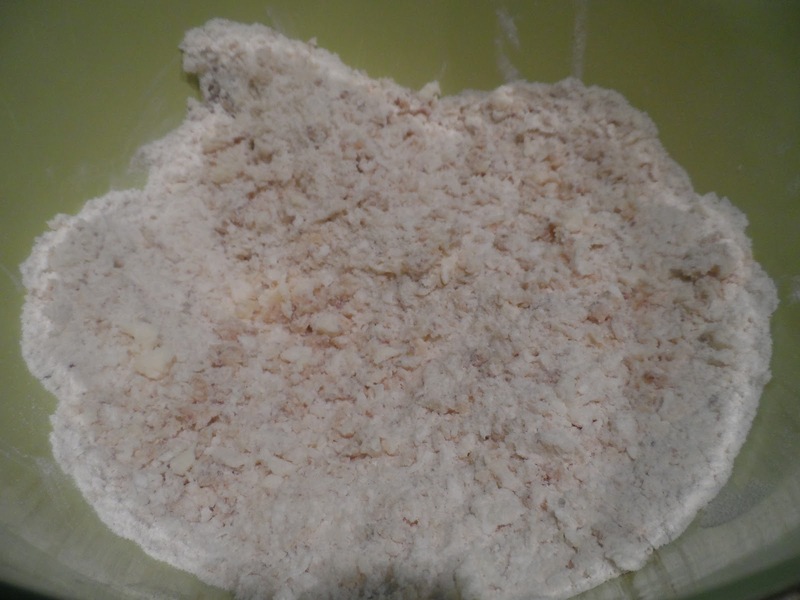 Stir the coconut into the flour mixture. 3. Add the almond paste and mix with a wooden spoon until somewhat uniform. 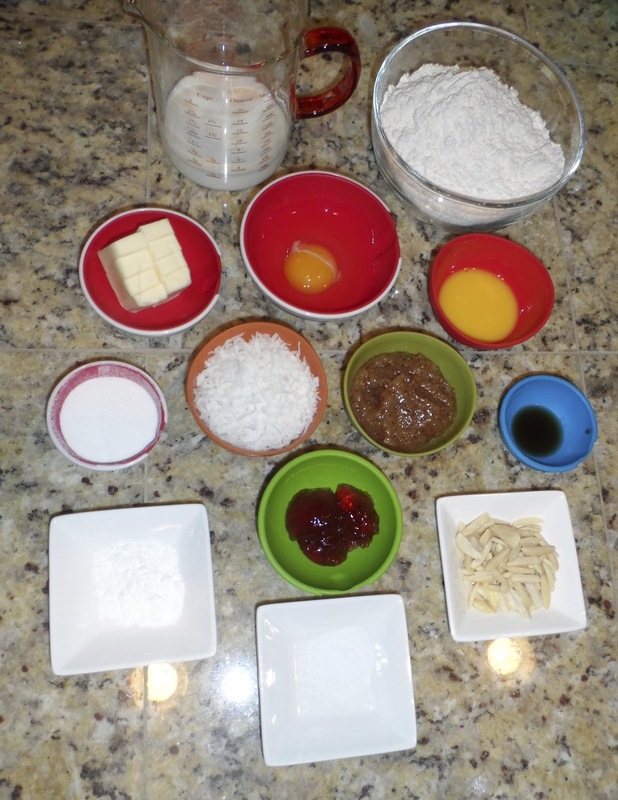 Add the butter and use knives, your fingertips or a pastry cutter to incorporate until the flour looks like coarse sand. 4. In a small bowl, mix the milk, egg, vanilla and almond extracts. Add to the flour mixture and mix with a wooden spatula until combined. 5. Turn out onto a floured surface and flatten to 3/8 inch height. 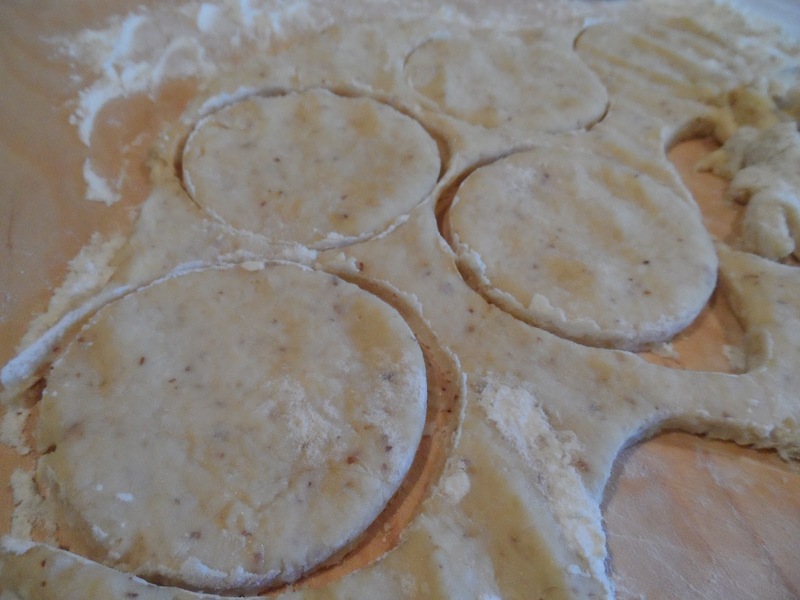 Using a floured 2-1/2-inch cookie (or biscuit) cutter, cut out 16-18 rounds from the dough, piecing together as necessary. 6. 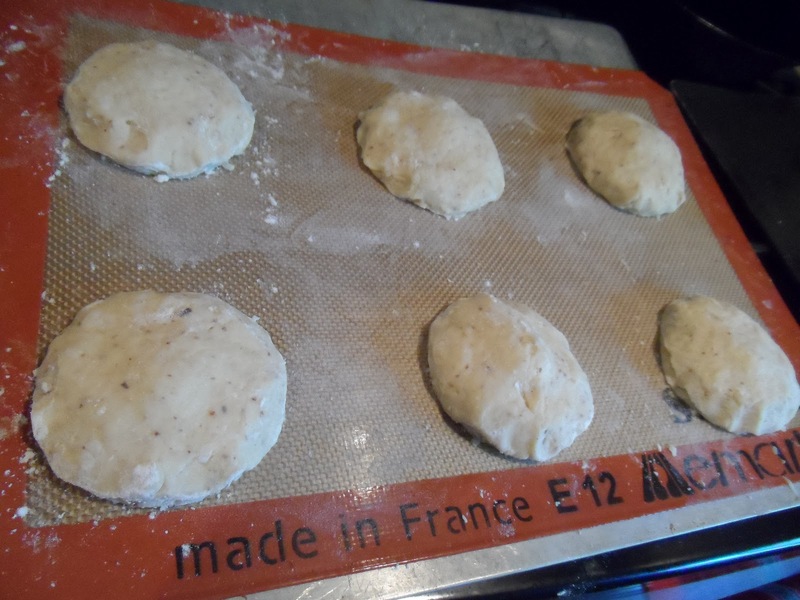 Place nine rounds on the baking sheet about 3 inches apart. Mound 1/2 teaspoon of preserves onto each round. Place another round over the top of the preserves, pinching down the sides to make sure they stick. 7. 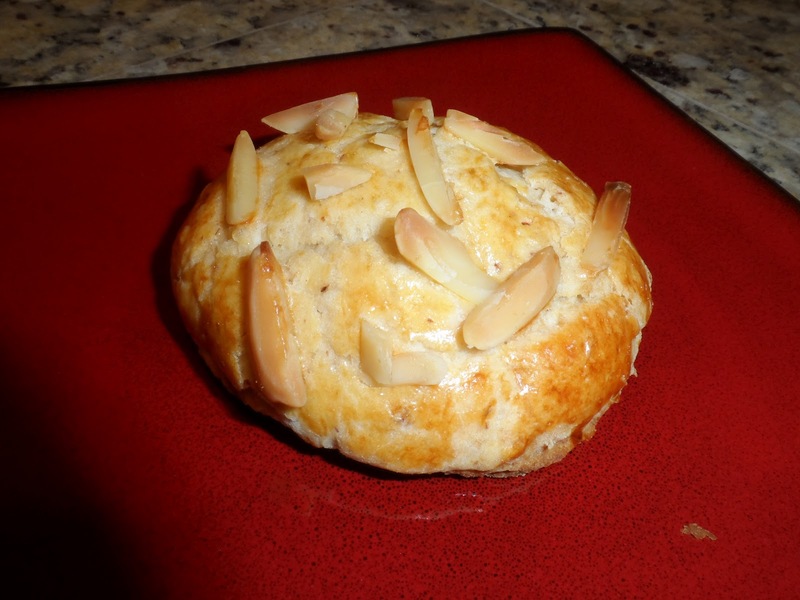 Brush the tops with the egg glaze and evenly divide the slivered almonds over the tops of the scones. 8. Bake until golden brown, about 18-25 minutes. 9. Remove and allow to cool for 5 minutes before serving. 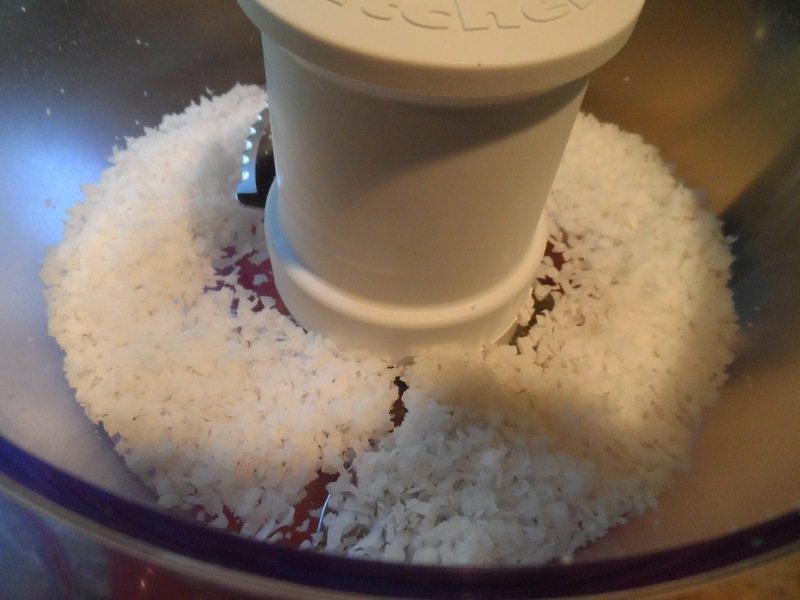 Finely chop the coconut in a food processor before mixing with the other dry ingredients. Dry ingredients plus butter and almond paste. Cut out as many rounds as you can before piecing together the remainder of the dough and forming more. 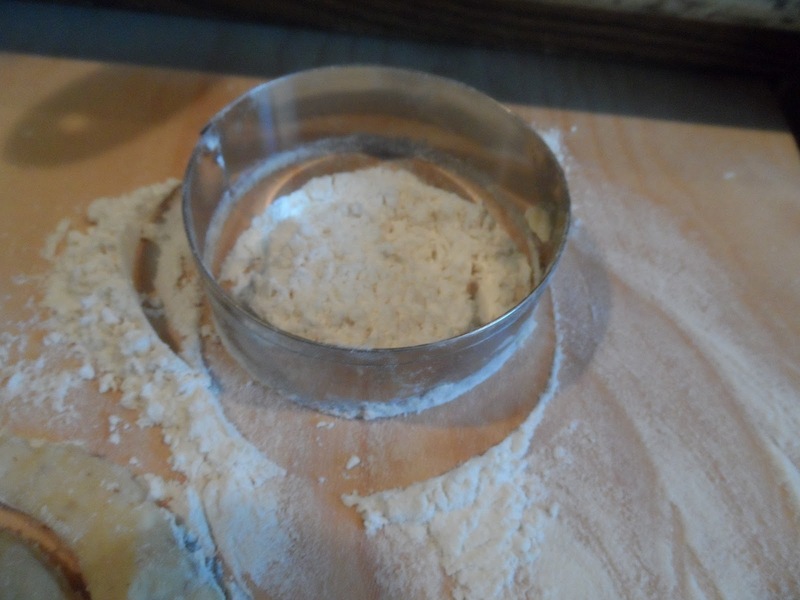 In order to keep the cutter from sticking, flour the bottom edges. I do so with a heap of flour on my counter, and swirl the cutter in the flour before each cut. Bottom layer of the scones: one dough round and a 1/2 teaspoon of preserves. 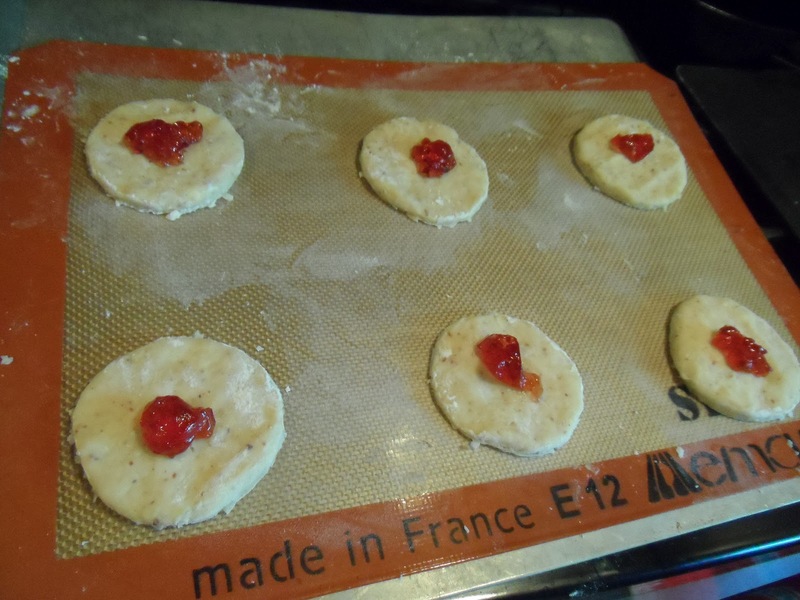 Add a second round to create the top of the scone and press the edges down to get a good seal. 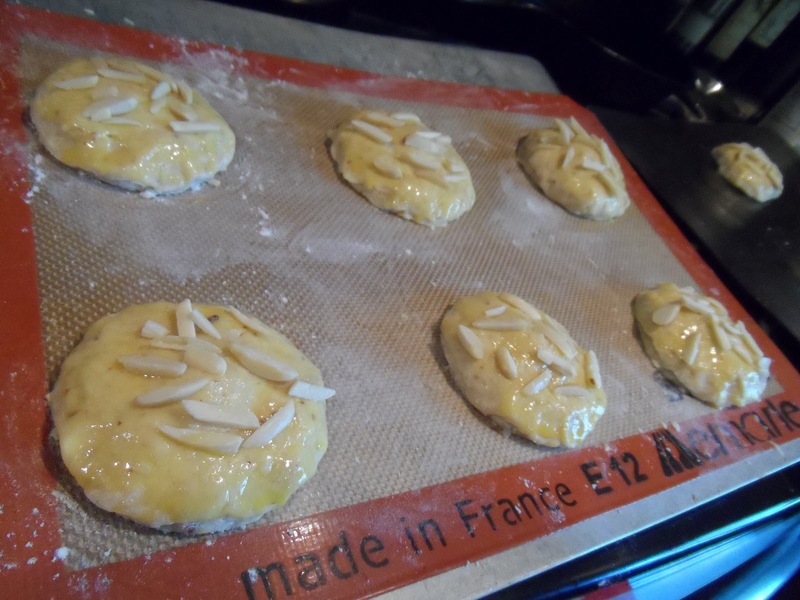 Brush with egg glaze and sprinkle almonds on top, pressing gently down so that the almonds don’t fall off. Although these are just a bit more labor-intensive than typical scones, the extra effort was worth it. The almond flavoring was strong, but not overpowering, likewise with the preserves in the middle, which offer just a hint of raspberry flavor. (I actually used currant jelly, since I did not have raspberry on hand, and it turned out well.) I will definitely be repeating these scones, and I look forward to trying more recipes out of the Simply Scones book!